The average person has probably never heard of an airsoft gun, but the weapons have a growing purpose, especially for training purposes for the military and law enforcement. They also have a strong recreational following for a variety of sports. Airsoft guns are actually firearm replicas that fire projectiles made of a variety of material. They may be created from aluminum or plastic, while others are made from biodegradable material. The gun fires using either compressed gas, hydraulics or pistons that may be spring-driven, electrical or a combination of both. The weapons are not meant to be lethal and are considered safer than other recreational guns. In 2012, federal and state authorities in the United States adopted Gas Blow Back (GBB) airsoft technology as a training tool. Because airsoft guns can be created to look like actual weapons, it is less expensive to train on them than the actual firearm. In addition, they are safer for training as there is less change of injury or death due to an errant discharge of the gun. Airsoft is a growing trend in the United States with many clubs, teams and associations developing around the sport. The equipment used in the sport ranges from small arms to armored vehicles with many large gaming events held around the world. 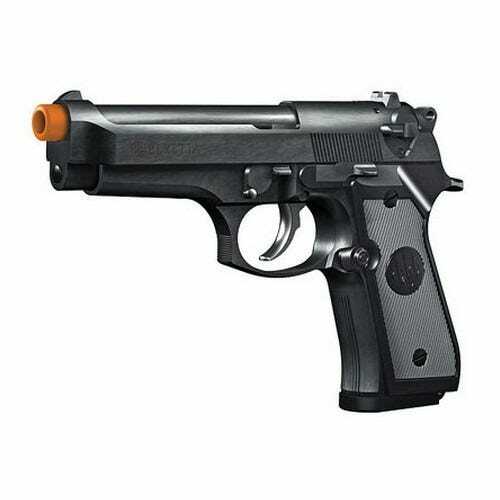 GrabAGun has a wide variety of airsoft guns available in a variety of makes models and styles. Whether you need to purchase an airsoft gun for training purposes or are interested in the airsoft sport, GrabAGun can help you find the right firearm. Their inventory of airsoft guns changes daily, so if they don’t have the one you are looking for, add it to your wishlist and they will let you know when it comes in. You can also call their helpful, friendly staff at 972-552-7246 to learn more about airsoft guns and how to purchase them.